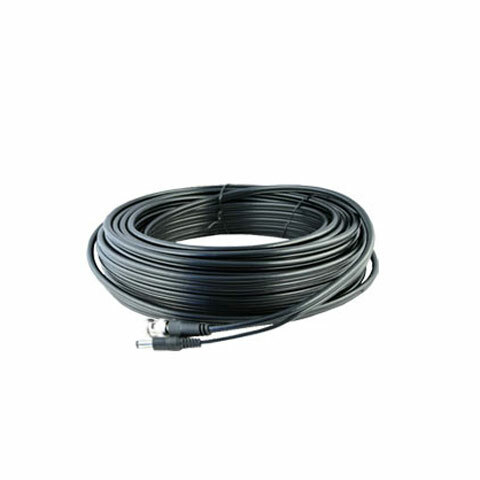 Use this cable to connect your CCTV camera to a digital video recorder or monitor, the cable carries video and power to or from the camera. The connections are BNC for Video and a 2.1mm DC Jack for power. The DC Jack needs to be connected to a power source. This is professional grade RG59 coax cable with attached 2 core power cable cut to length and pre-fitted with BNC & DC Jack connectors.